A stone that flies up and/or short off-road stretches often mean that the original headlights are finished. 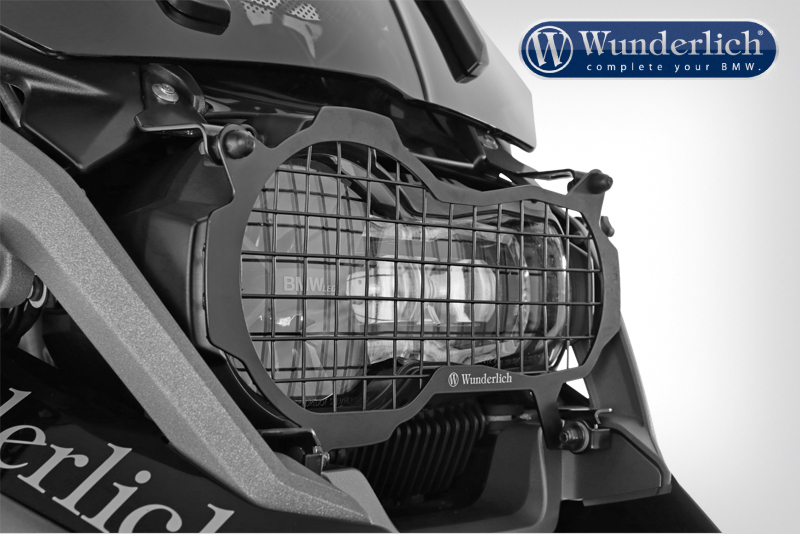 Rigidly mounted headlight grills or the original protecting screen can only be used legally off-road tracks, and the headlight glass behind is difficult to clean. 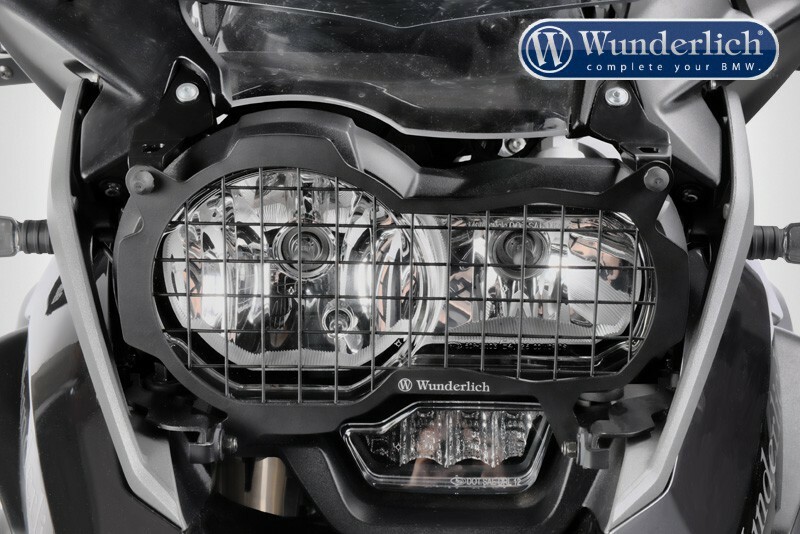 Our headlight protector protects the headlight in all circumstances and can simply be folded forwards when riding on the road or for cleaning purposes. A perfect protector that also protects against any small projectiles. The folding mechanism is particularly useful, as rain drops can cause unpleasant reflections and you run the risk of dazzling yourself. With the folding mechanism, the screen can be positioned just as you want it and in an emergency it can simply be folded away. Optically pure indestructible Lexan protector. 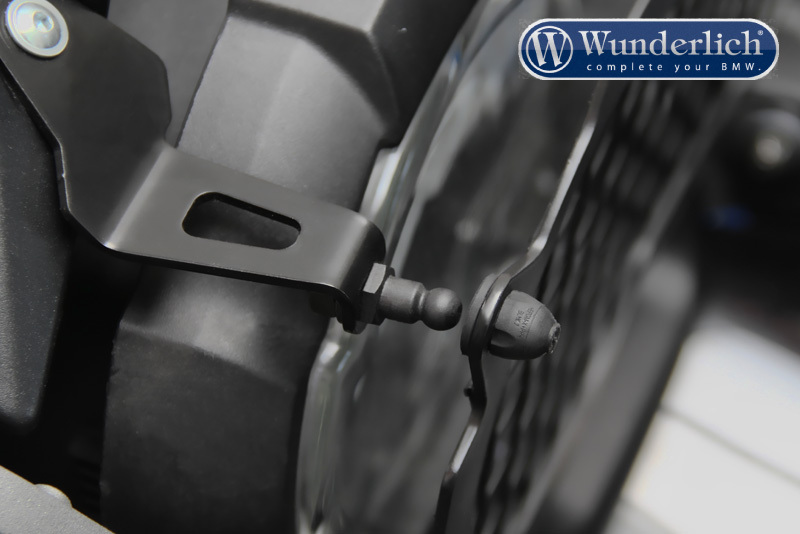 Adjustable position of protector allows finding of best position, reduces reflection. 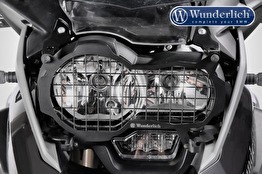 Easy cleaning of the headlight and the inside of the protector. Permitted for road use in folded position. Can be quickly put in place for off-road use. 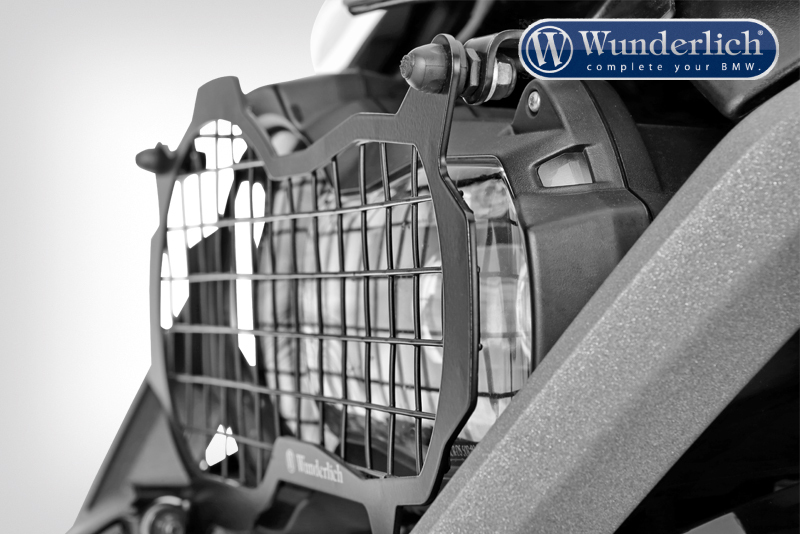 Scratch-resistant protector with robust, coated brackets.